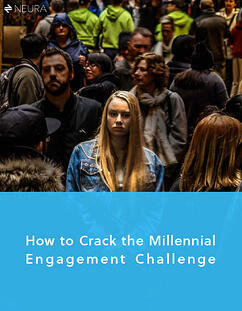 Millennials, all 75 million of them, are the ultimate demographic for marketers. Loosely between the ages of 18 and 35 years old, they are the biggest buying bloc out there. Marketers and advertisers spend 500% more on Millennials than any other demographic combined, and, according to advertising spending reported in AdWeek, spending 4.5 times as much on mobile over social and display. They came of age in the smartphone era, and they're glued to them. In fact, 38% of Millennials spend more time with their smartphone than with actual humans in their lives. 77% of Millennials own smartphones and spend more than two hours a day on those devices. If that doesn’t scream, captive audience, this will. Millennials make up only 29% of the US population, but they account for 41% of the total time that Americans spend using smartphones.